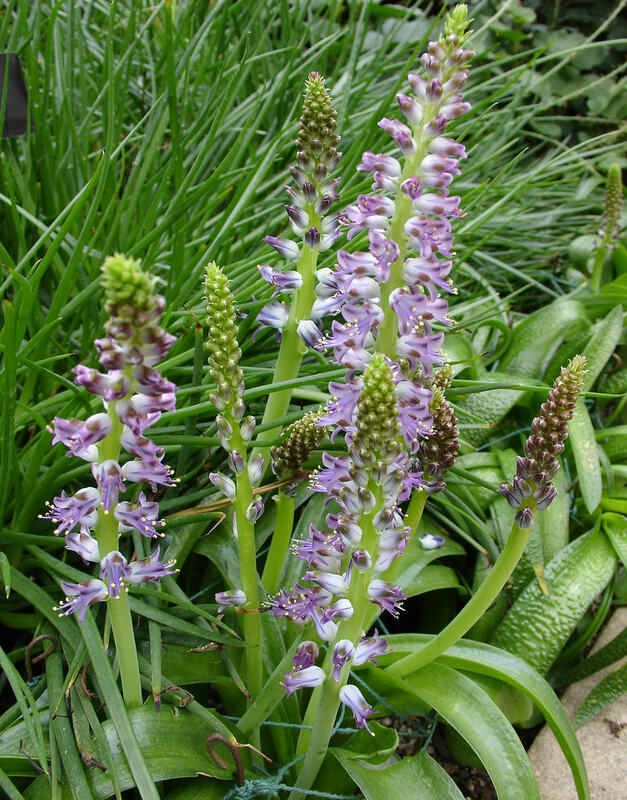 Lachenalia Plant – Lachenalia (also known as Cape cowslip or wild hyacinth) is an attractive perennial plant which provides a host of tubular flowers in winter. It is a winter growing bulb under South African conditions. 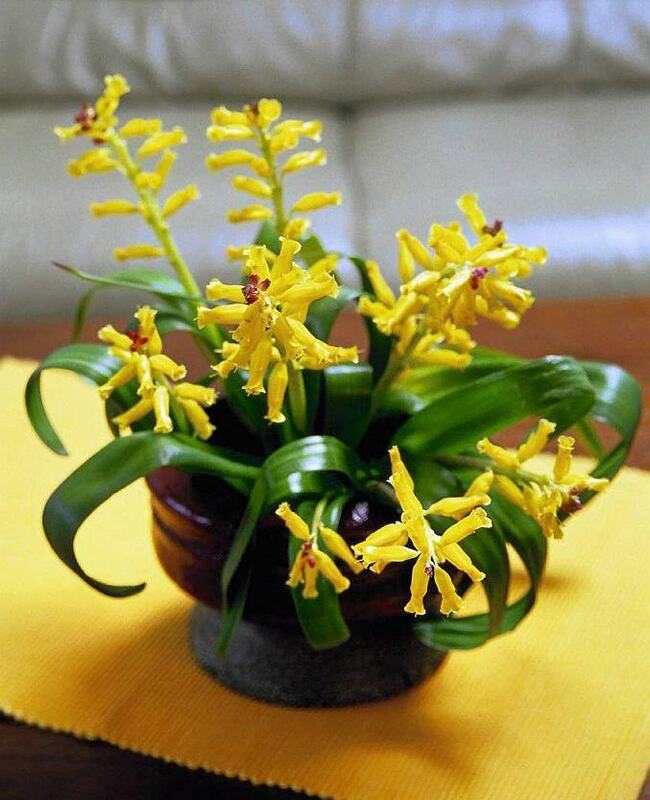 Despite its novel appearance, Lachenalia has never been popular because of its inability to live in a heated room. Lachenalia is a good container plant and also ideal for a sunny rockery. In late summer plant 6-8 bulbs in a 6 in. pot with with the tips just below the surface. Choose light soil. A very fertile, loose soil (pH 5.5-7.5) is suitable. You can take 1 part of the sod land, 1 part of coarse sand or perlite, 1 part of the leaf land. Good drainage and a pot with a hole is required. Where areas are loamy or clay-like, work sand into the mix, without adding compost. Stop watering in November and lift the bulbs in December to store them in holey paper bags until springtime. However, while the bulbs are still in the soil, it’s important not to let the soil dry out completely, as this could trigger dormancy. Keep in a cool and bright room, water once and then leave until shoots appear. At this stage water and feed regularly. 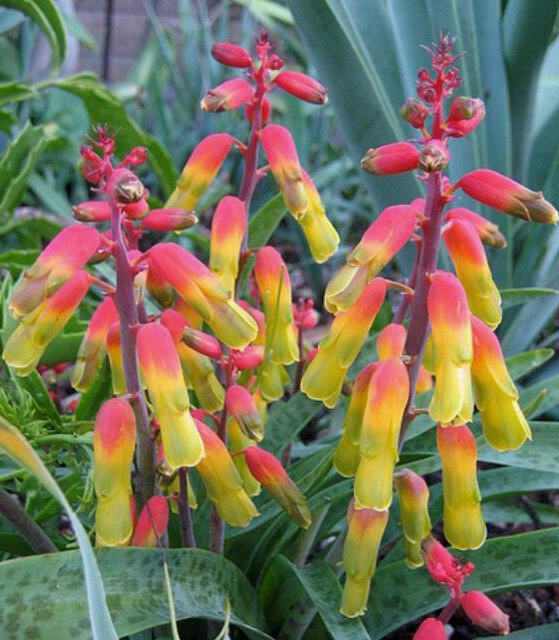 The blooms of Lachenalia aloides are yellow tinged with green and red. They are borne on 1 ft stalks which bear brown or purple blotches. The variety lutea has all-yellow flowers. 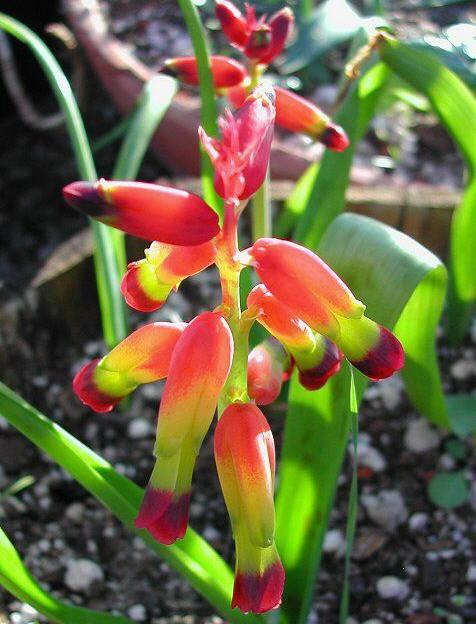 Lachenalia bulbifera produces small trumpet shaped red flowers. The plant dies down after flowering in winter and early spring and renews annually from the bulbils on the leaves. Temperature: Cool – minimum 40°F in winter. Light: Bright light with some direct sun. Lachenalia has been showcased on chilly window sills. The western and eastern window fits. Water: Keep compost moist at all times during the flowering season. Air humidity: Mist leaves occasionally. Care after flowering: Continue watering for several weeks, then reduce and stop. Keep dry. Repot in fall. Propagation: Remove and plant offsets at repotting time.